I've posted before, but wanted to come back and get some opinions. Daughter is 12 (almost 13), right at 5' tall with her golf shoes on, and weighs a whopping 67 pounds soaking wet and with a full stomach. She takes after my wife's build, who is 5'7" but did not reach 100 pounds until she was a freshman in college. She has outgrown her 57" US Kids clubs. I took her to our local golf shop where they do really good fittings. I talked with the head pro there and he suggested we look at the new Ping Prodigy series, or possibly a Ping GLE (ladies version of the Ping G series irons). She took a 7 iron of each and did not like how the Prodigy's felt, but could make clean contact consistently with the GLE's. Her foot has grown 2 full sizes in a year (from a women's 6 to an 8), yet her height growth spurt has not happened. I'm thinking it is just any month now and she may shoot up 4-6". Whatever we do, I want to have in place before winter so she can be working with the new clubs, even if it is hitting off mats. I don't want to get to the spring tournament season and her getting used to new clubs. My daughter is getting ready to turn 11 next month and she is 56 inches tall and weighs 70 lbs. That puts her dead in the middle for height and weight for her age. 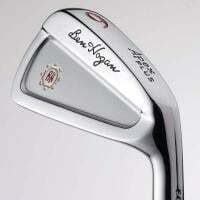 She out grew her last set of Flynn irons and I opted to get her a set of ladies irons and cut them down. I got the Cobra F8 ladies irons with the recoil graphite shafts. She has no problem with the new weight of the clubs. Her coach even suggested that I look at some women's clubs as long as I could keep the weight down. Don't get me wrong, I think the TS3's are probably great clubs (no experience with them), but it's not like the previous model TS's all of the sudden became dog poo. It's usually the indian and not the arrow as they say. My kid used TS3 60” with steel for 3 months, 5i-PW, GW, SW, LW, before transitioning to adult clubs/. Great transition club. PM me if interested. we have ts3 great clubs very good. However if she that close to adult clubs I would lean there, because those are a lot easier to extend if she does grow. If she is close to a growth spurt I would look at buying a used set of womens clubs if she can swing fast enough which means above 60mph with the driver. Ebay is your friend during this time for everything you need. I would suggest buy something with shafts you can cut down and then just rip and throw away the shafts when they grow. I matched everything to US Kids sizes when I could. Once they hit the growth spurt your going to go through clubs every 6 months. In that last year my daughter grew over 6 inches. At least now we are regular adult sizes but it is constant battle with lies angels she gets taller. Also word of caution during this huge growth spurt forget about doing well in tournaments it's just tough because for instance 1 week a 9 iron goes 80 and the next week it goes 90. What path did you end up choosing for your daughter and how did it work out? We are in the same boat with my 12yr old who is 5’1” with SS of around 70/72mph. Her current clubs are 57” and I’m wondering if I should get adult clubs or USKids 60 or 63” . I’m guessing she will see a big jump from 57” to 63”. If only we could try some place locally. I am in a similar situation. I built my son his current set of Cobra irons and he grew 3" since. In about 6 months too. We are now looking at the next step. Which could be Ping Prodigy. But he is already 62" now and they only go to 63" .Will probably get fit for adult Pings, but he really likes his forged Cobra's. At least his woods/hybrids are easy. Got a slew of Cobra shafts in the bin to work with. I missed this thread. My apologies. We settled with the US Kids TS-3 63" for her. Just this week we moved her to a ladies Cobra driver and instantly added 20-30 yards average to her drives and actually its it straighter. I wanted her to grow a bit more, more in overall size and not just height, so make sure she could gain the strength for an adult set of clubs.